In case you missed my last post, I've embarked on a search for my next family car. 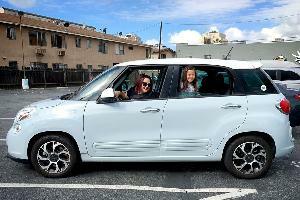 My small family of three could use more space and the lease on my 2014 FIAT 500L is almost up, so I’m considering several vehicles. Of the three SUVs on my short list, The Volkswagen Tiguan is the first I've been able to test drive. Since I love smaller cars, the Tiguan is a larger vehicle than I would normally like, but I am curious to experience what it's like to own a vehicle with a third row. 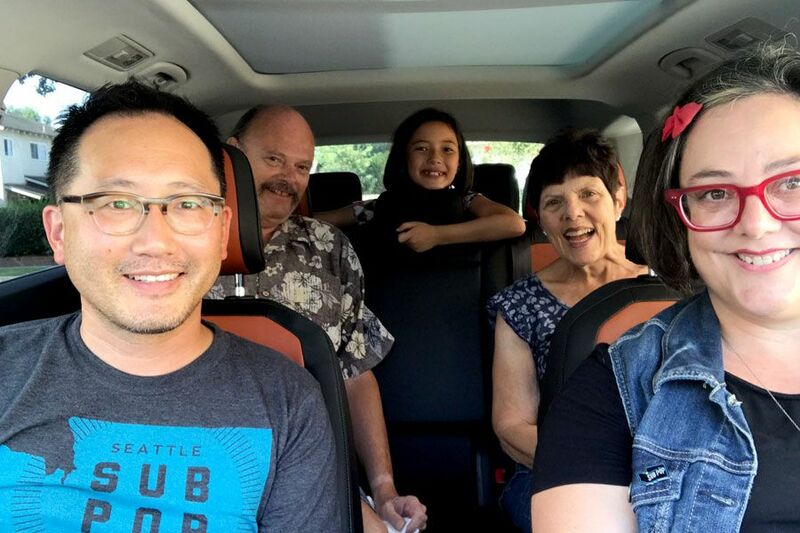 Our daughter is now at an age that she wants to bring friends along, and we do live very near the grandparents, so a third row means we could all pile in the same car for family dinner outings. 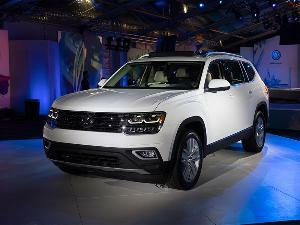 VW's recent amazing lease deals are one reason this SUV made our short list. Volkswagen is eager to position itself as a family brand, and lowering its pricing to move metal fast has become a priority. 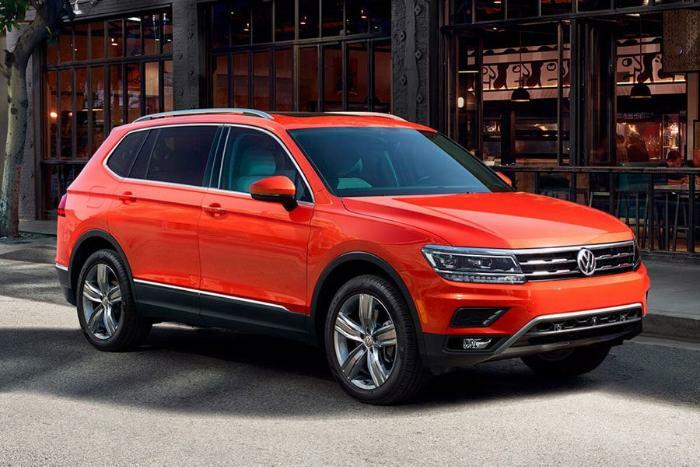 I am looking for a lease payment that is $300 or less, including tax, and it looks like we’ll easily be able to attain that in a Tiguan, even with a mid-trim level vehicle. 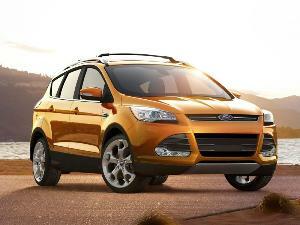 Since I want features such as push-button start and adaptive cruise control, a base model is not under consideration. Wow – I didn’t realize how much fun having a third row could be. It’s not big, but the kids fit back there just fine. We enjoyed carpooling with another family on the weekend and taking my parents out to dinner in the Tiguan. 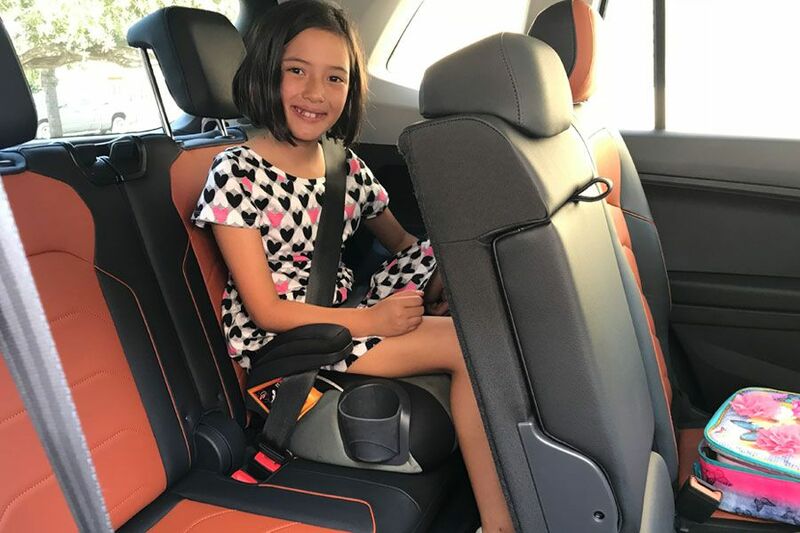 Now that our daughter has graduated to a booster, it’s simple to move it from the second to third row, and even when she’s all the way back there, she can buckle in and get situated with no help. 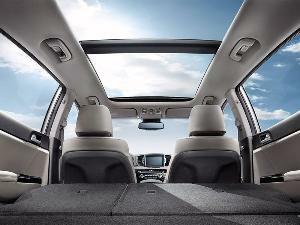 The Tiguan also felt roomy and comfortable without feeling huge. I never felt like I was lumbering down the road, and I had plenty of room up front for maximum comfort. 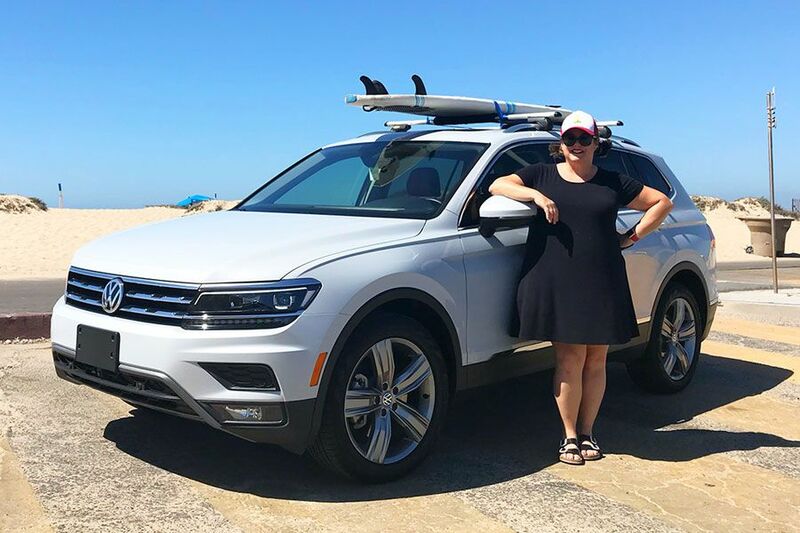 I’ve been used to driving a smaller car, so I was expecting the Tiguan to feel like a behemoth — it didn't at all. And I can’t lie, this mama enjoys her features. I was particularly enamored with the huge 8-inch color display, the Audi-like digital cockpit and LED ambient lighting. Some of those features would only be available to me if I stepped up to the SEL model, but I’d be willing to see how much that would cost me. I was surprised that driving the Tiguan did not feel like all the other Volkswagens I’d piloted before. 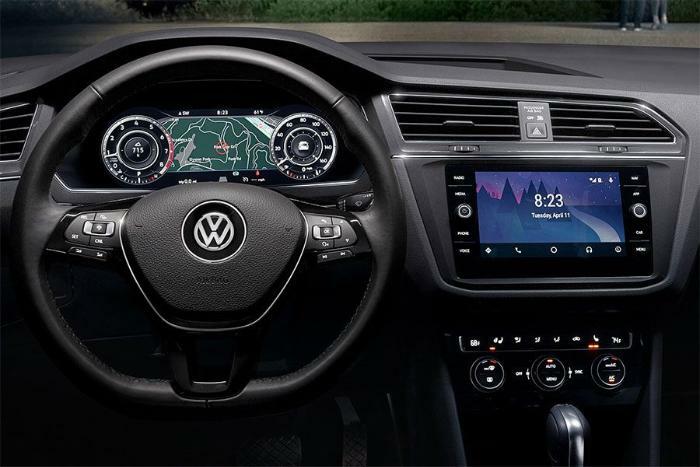 The steering wasn’t as responsive and firm as other VWs. Thankfully, I was able to switch the drive mode to “Sport” to achieve the feel behind the wheel I was looking for. Even with that added performance, I'd say the Tiguan is definitely more parts American than German when it comes to steering and handling. 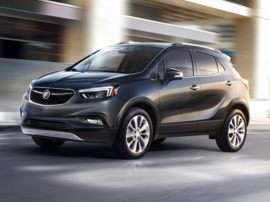 Don’t get me wrong, it’s a compact SUV, not a sports car, and I’m definitely not a performance buff, but it was just a little underwhelming. And speaking of underwhelming, the design is pretty mainstream. Looking out into the ocean of SUVs in the Target parking lot, I had to look a lot harder for my ride. It may sound petty, but I enjoy an expressive vehicle, and I felt a little vanilla when driving it. I could always upgrade and pay $295 extra for a "fun" color like Habanero Orange, but I'd feel a little silly. The Tiguan is definitely still under serious consideration after my week-long test drive. 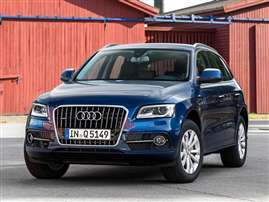 It was a comfortable car to live with, it had features I was looking for, and it was fun to bring an extra crew along. And though I was a little let down by the way it drove, I started thinking that the fun I’d get out of the Tiguan would be less about how it felt behind the wheel and more about what I’d be able to do with it. And you know what? I’m totally okay with that.